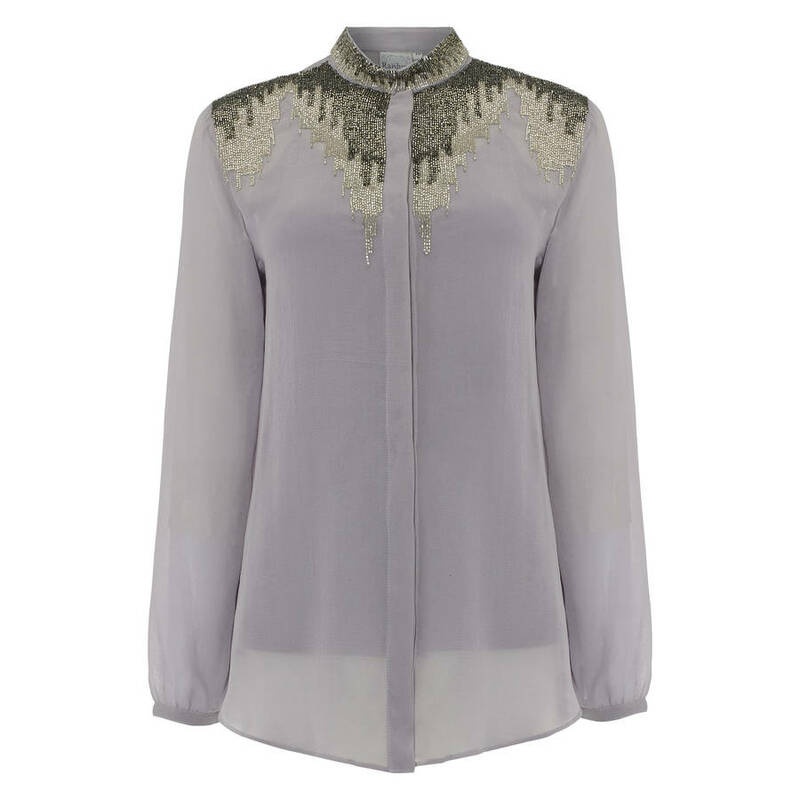 An elegant button-up shirt with embellishment along the collar and neckline. 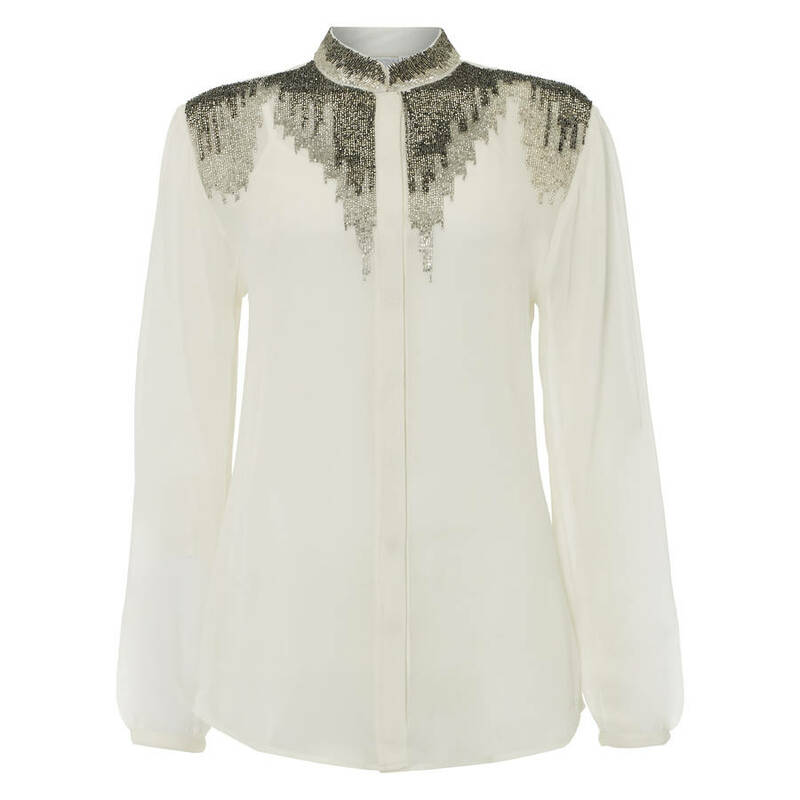 Style this stunning shirt by tucking into white palazzo pants for an outfit ideal for an evening out. 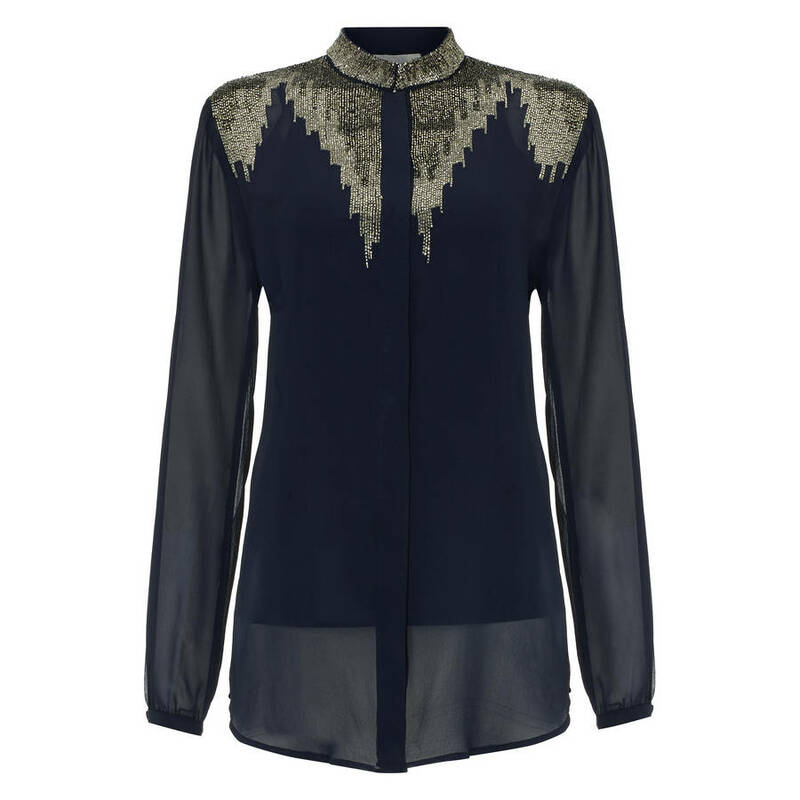 The georgette shirt features a small Mandarin style collar which is heavily beaded. 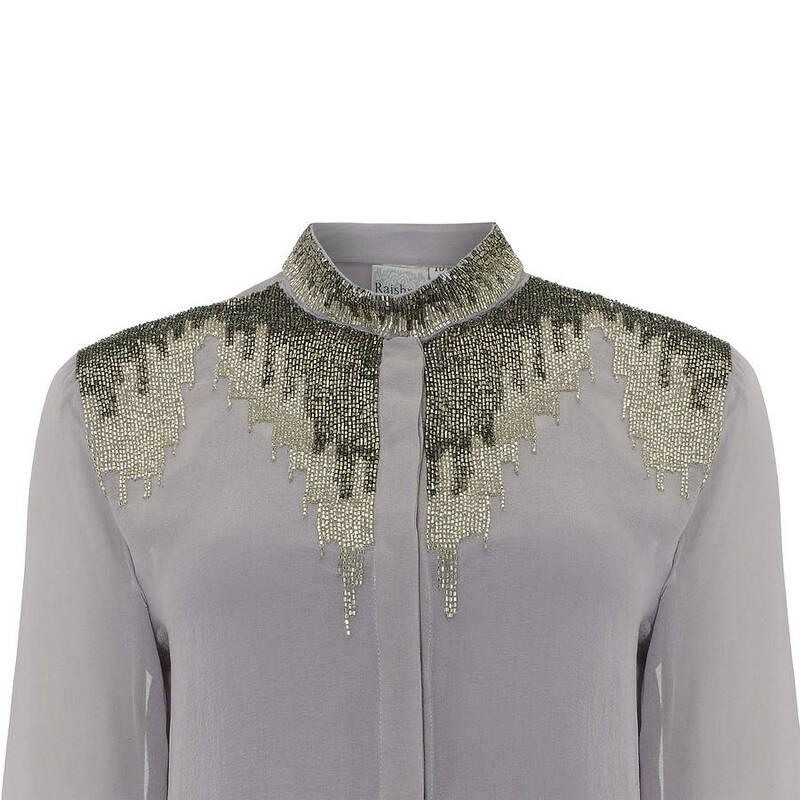 The embellishment follows onto the shoulder and neckline of the shirt and comes in an ombre effect, with a mixture of dark and light beads trailing down. 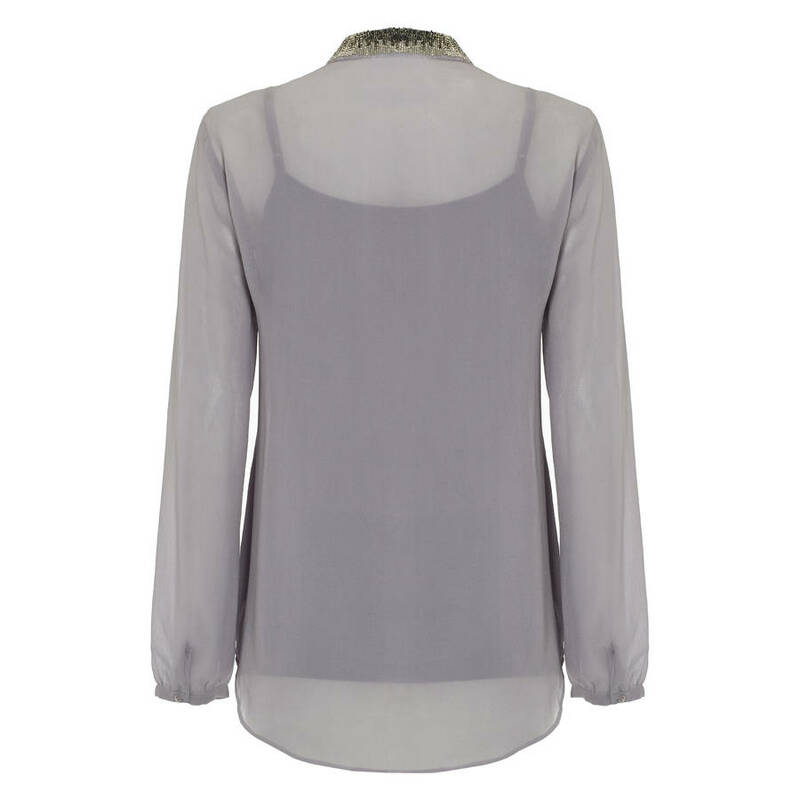 This shirt comes in a choice of brown/mauve, navy blue, black, or white. The beaded design is the same on all colours. 100% polyester georgette. Dry clean only.